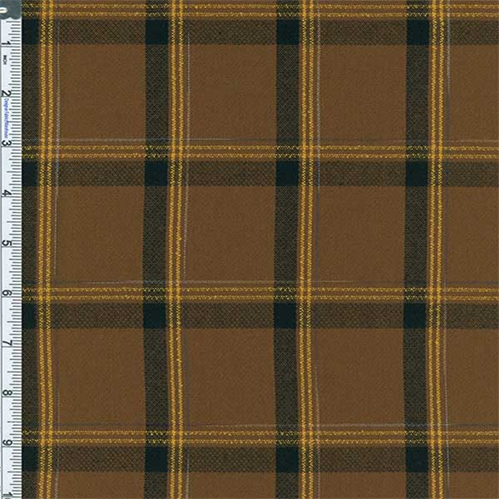 Rayon Blend Dobby Weave Charles Plaid Fabric By the Yard, Bronzed Brown/Black. Lightweight drapable suiting in a dobby weave with accents of black/white jaspe and boucle yarn, dry handfeel. Semi-opaque, suitable for slacks, skirts, dresses, and overshirts, use a lining if more structure or full opacity is desired. Dry clean for best results.